Bradfield College Register; 2567 Sept. 1909. Liveing Edward George Downing. b Mar 1895; a. Sept. 1909; l. Jul 1912; St Johns Coll. Oxon; Exhr., 1914; BA 1920; MA 1925; 2nd Lieut 12th Lon. Regt., served in France, Palestine, Egypt. Capt., North Regional Director BBC. Edward at St Johns College Oxford, could claim Founders Kin. He was an author and had a distinguished career with the BBC. that I brought over and how it kept us up into the early hours of the night! better to pay off a mortgage to a reputable building society than an exorbitant rent to a profiteering Manchester landlord. The majority of one's money becomes capital which it certainly does not when one is a tenant. I hope that you are keeping well and should very much like to have your news. The Times 1 July 1937 pg 14 col D.
Mr E G D Liveing. Mr E G D Liveing, North Regional director of the BBC., formerly a station director at Manchester, and previously connected with the now discontinued Nottingham station, retired from the service of the corporation last night after nearly 13 years. The Times 6 December 1947 pg 5 col E.
Sir, The BBC's recently announced establishment of a board of directors under the chairmanship of the Director General raises certain issues which deserve public attention. Of the four members whose names have hitherto been published only two have seen a long service in the BBC, one has only become associated with it comparatively recently, and the fourth is an entire newcomer. If one takes into account the fact that the Director General himself, admittedly a most able administrator, joined the BBC as editor in chief in 1943, it will be seen that length of experience in broadcasting is not one of the assets of the new board. The BBC has been in existence for 25 years. It is no longer a newly fledged organisation and it has long since developed into a professional service. An official's relationship with broadcasting, even if it is concerned with administration or publicity - I purposely mention those two branches of the service most remote from the studios - requires intimate knowledge of the art of radio, and this knowledge can only be acquired through some considerable length of employment in a broadcasting institution. The introduction of persons in experienced in broadcasting matters into the higher executive posts of the BBC has, with a few exceptions, been unsuccessful in the past; and it seems unfortunate that the BBC should not have learned wisdom in this respect from earlier mistakes. It is difficult enough, even for a newcomer brought into the BBC had a low grade, to master the nature of his work within one or two years. It is much more difficult for someone brought in at a high level to assimilate the complexities both of the organisation and radio technique; and during the period of such assimilation he must rely largely on the men beneath him, thus creating them an added burden. There is another aspect which should be noted. This is the unfortunate effect on the morale of a public institution in which employees must realise by now that they have very little opportunity for rising to the top. A morbid atmosphere group sent to any organisation whose officials know that they cannot carry field marshals battens in their knapsacks. There are a number of extremely able man in the BBC today who could take over work in higher posts than those which they are holding now, and this particularly applies to that of Director of Administration, now allotted to an air chief marshal. No one would dispute this officer's great abilities, but he has yet to prove himself in an entirely new field of professional activity. One wonders what effect it would have if the position were reversed and a BBC official were introduced into the Air Ministry in a similar appointment. The name of the new Director of the "Spoken Word" has not yet been disclosed, and it can only be hoped that it will be filled from the ranks of the BBC. It will be contented, and rightly, that fresh blood should be brought into the management of the BBC from time to time. The proper place for this is the Board of Governors, the composition of which is subject to periodical changes in accordance with the provisions of the BBC's Charter. But to introduce amateurs, however distinguished, into the executive is altogether another matter. I venture to say that the issues raised in regard to the BBC go far beyond that organisation, since there is a regrettable tendency in public life today for vacancies to be filled by persons who have made names in their particular spheres of life, but may be quite unfittered for others. Savile Club, 69 Brook St. W1, Dec 4. Available at GUILDHALL LIBRARY and ST BRIDE LIBRARY. Available at BARBICAN STACK and GUILDHALL LIBRARY. A history of Edward's residential address's via the English telephone directories. MR E. G. D. LIVEING. Mr. Edward George Downing Liveing who died in London on Thursday at the age of 67. was a pioneer of BBC development in the Midlands and North who returned to serve the corporation during the last war. Born in 1895. he went to Bradfield and St. John's College. Oxford, where he was an Exhibitioner in English Literature. He was in France and Palestine with the London Regiment in the First World War and Assistant to the Military Censor in Egypt in 1918-19. He joined the B.B.C. in 1924 after having edited "Discovery" for two years. As director of the relay station at Nottingham he gained experience which was useful in the wider activities of helping to create the B.B.C. North Region in the late twenties. Until 1937, when he resigned from the corporation, he was its North Regional director. After travelling in northern Europe he was recalled by the war to broardcasting. The establishment of the Staff Welfare Unit in 1941 was followed by a brief spell as West Regional director. Then Liveing was sent to the Middle East in 1942 for liaison work between the B.B.C., the Minister of State's office. and the service authorities. As first Middle East director he established the B.B.C. Cairo office in 1943. After the war he acted as Joint Secretary of the Educational lnterchange Council and wrote several commercial histories. He was a contributor to Blackwoods magazine and The Fortnightly Review. His "Attack" was one of the earliest books by a serviceman about the First World War. He was a member of the Savile Club He married in 1923 Gladys Constance Baker. who died in 1959. There was one daughter of the marriage who survives him. Details: LIVEING, Edward George Downing, MA; Author and commercial historian; born 24 March 1895; son of late Rev. H. G. D. Liveing and Margaret Rands; married 1923, Gladys Constance Baker (died 1959); one daughter. Education: Bradfield Coll. ; St John's Coll. Oxford (Exhibitioner in English Literature). Work: Served during 1914-1918 War with London Regt in France and Palestine (wounded in Battle of Somme); Asst to Military Censor, Egypt, 1918-1919. Editor of Discovery, 1921-1923. Joined BBC in 1924; entrusted with creation of BBC's N. of England Region in 1928 and was its North Regional Dir till 1937. Mem. of Lancashire Industrial Development Council, 1935-1937. 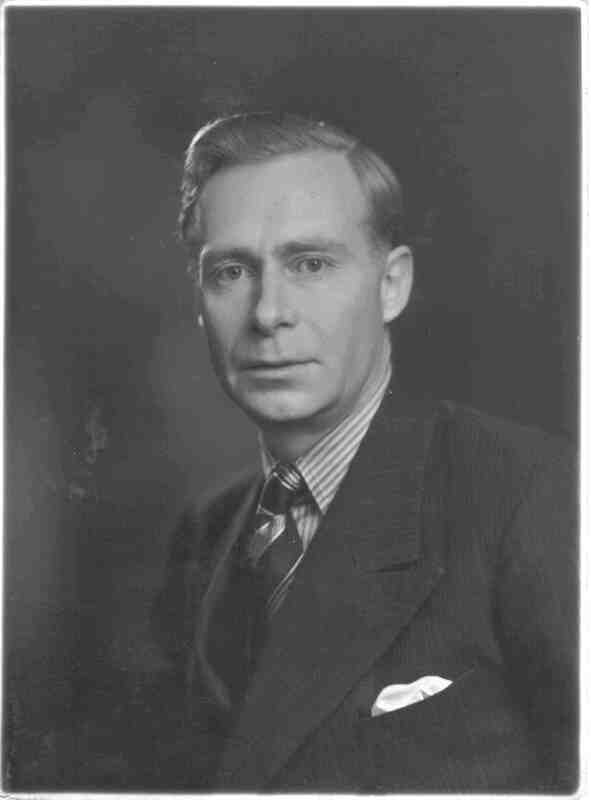 Managing Director, Motoring Abroad Publications Ltd, 1938-1939. During 1939-1945 War returned to BBC for special war-time activities including establishment of Staff Welfare Unit, 1941, appt as West Regional Director, 1941-1942, assignment in Middle East 1942 for liaison between BBC, the Minister of State's office, the service authorities, and Arab governments during El Alamein period; as its first Middle East Director established BBC Office in Cairo, 1943. Joint Secretary, Educational Interchange Council, 1946-1947. Publications: Attack; The House of Harrild; Adventure in Publishing; Pioneers of Petrol; A Century of Insurance; Across the Congo; contributions to Blackwood's Magazine, Fortnightly Review, etc. Address: 28 John Street, London WC1. Telephone: Holborn 0955.